On March 14th 2019 shipyard Royal Niestern Sander announced that it had received an order from Wagenborg for the construction of a sister vessel of the Egbert Wagenborg. The yard will soon start the construction of the second ship of this EasyMax type. This announcement was made during the christening ceremony of the electric inspection vessel PW-18 that Niestern Sander is building for the Province of Groningen. 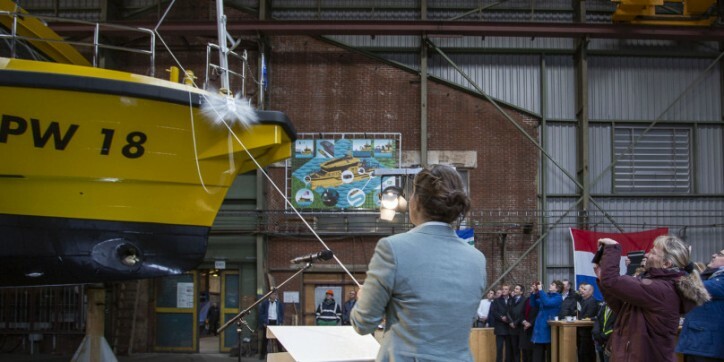 This first electric inspection vessel was christened Thursday (Mar14) by Mrs. Fleur Gräper-Van Koolwijk, representative of the Province of Groningen. The ship will be taken into service in six weeks. The EasyMax concept is a multi-purpose vessel with a load capacity of 14,000 tons and was developed by Wagenborg and Niestern Sander. 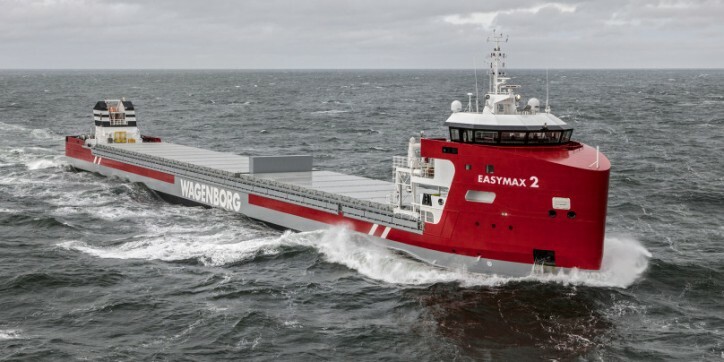 Wagenborg was awarded the KVNR Maritime Shipping Award for this ship design in 2018, partly due to its superior fuel efficiency. The Egbert Wagenborg has now proven itself as a sustainable and successful type of ship and will continue to contribute, together with its future sister, to the position of Wagenborg Shipping as a leading multi-purpose shipping company.